Williamstown wrestling enjoyed a highly successful season last winter, winning the most matches in school history. Despite losing key contributors, the Braves are ready to compete in a competitive Tri-County Conference again. On the penultimate day in November, the room off the gymnasium was dimly lit and swampy, just how a high school wrestling practice room should feel at any time of the year. But the more important observation was how crowded the room felt. There were two wrestlers on every mat and others hovering around waiting for their chance to scrap, too. 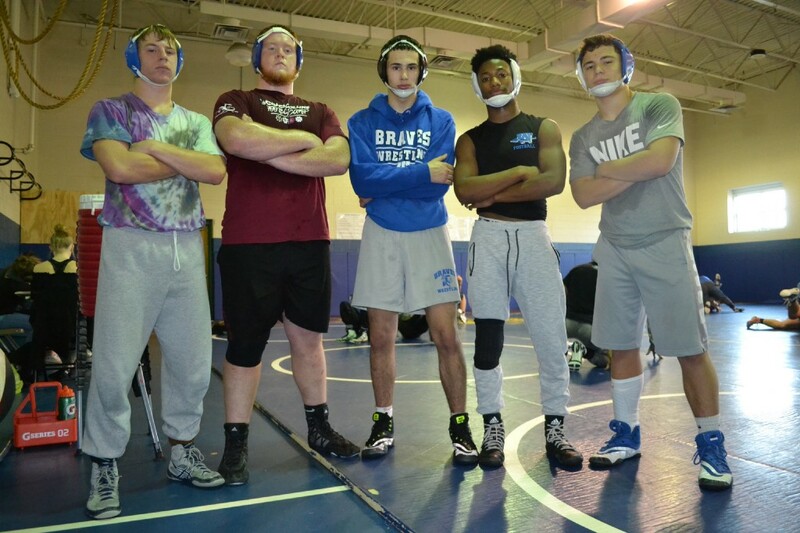 A year removed from the winningest season in program history, Williamstown High School has its work cut out with a talented senior class gone after graduating, but also has no shortage of new kids hoping to form the next winning team. The beginning of a new season is fun for every team — the contenders, the rebuilding programs, and everybody in between — because of the unlimited possibilities. Everyone can make predictions, but there is never going to be a perfect prognosticator. The unknown is exciting. After leading his alma mater to a 24–3 season in 2017–18, Jernegan is intrigued with the possibilities. Sure, he can waste his time counting all the seniors who made last season possible. But the better spent time is looking out at all the mats in front of him and pointing out the potential of a freshman (106-pounder John Hildebrant) or looking at the guy two times his size (heavyweight Sam Ray) who could be destined for a breakout season in 2018–19. Jernegan and the Braves staff will know a little bit more about how they stand as the season progresses, of course. In December, the tournaments bookending Christmas (the Gator Tournament, the Arthur O. Marinelli Tournament) will reveal who his top individuals are compared to their rivals throughout South Jersey. But how they wrestle as a team is a different story. It’s what made last year’s Braves’ season a successful story, having a tight-knit group that fed off each other and thrived in dual meets. Sure the Braves had one of the state’s best in 195-pounder Bryan Martin (Region 8 winner, third at states), but they also had seven others seniors who have graduated from that 24-win team. Along with Ray, Chad Tracy, Joey Racobaldo, Taylor Robinson, Cody LaGamba are all back from last year’s starting lineup. Tracy (145) is a senior who wrestled at Regions last winter. Jernegan, a ’93 Williamstown graduate who went on to wrestle at Bloomsburg University, knows the room isn’t the same as last year, but he also knows it’s a heck of a lot more crowded than it was when he was in school a quarter century ago. And the unknown, the possibilities, the tempered expectations? They are all exciting. “The school got bigger, a lot more talent,” he said, remembering his own high school days before pivoting back from past to present. “Kingsway will be good again, they’ve got a lot back (from last year). Clearview. Highland. Our conference is going to be tough, and we want to be competitive in that.